We use the twislers, marshmallows and tootpick. We put the marshmallows to the tootpick to stick it together. 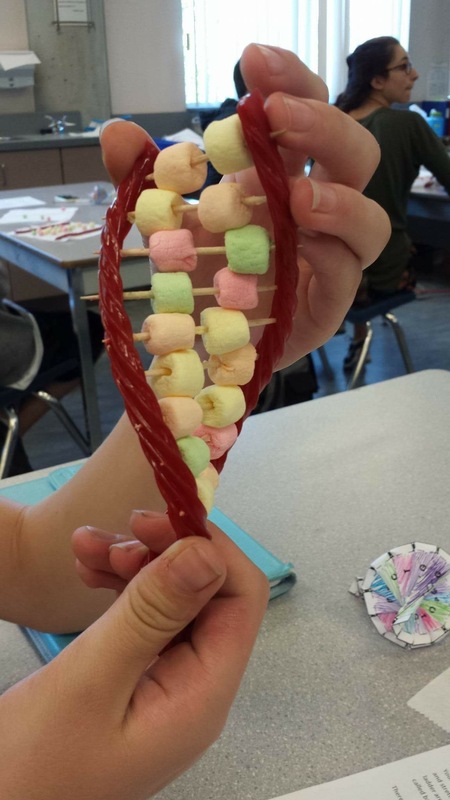 And the twislers is to make form of the DNA and to hold it together. You post something really bad in your Facebook and the people are thinking that you are not good influence. It can affect your future example your looking for a job and the owner of the company read the post on your Facebook and he said to his mind that im not gonna hire this guy because his not a good person. 2.Descrbe at least three strategies that you can use to keep your digital footprint appropriate and safe. 1.Dont post on your Facebook account or your any account a any bad word. 2.Dont post a picture that can affect your future. 3.Dont put your personal information in your account. 3.What information did you learn that you would pass on to other student ? How would you go about telling them? I learn that not put something really bad that can affect your future and can hurt people feeling.